My Broadway producer friend, Ted Seifman, visited us this past Saturday from New York. When he was on his way home on Sunday evening, he had a Kodak moment at the Ft Lauderdale airport. I had to share it with you..
“Here is another one of my inflight mass emails. I’m currently on a flight from Ft Lauderdale to NY. 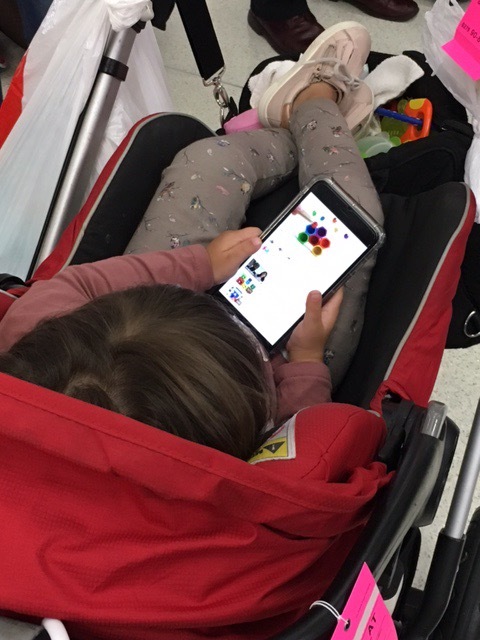 Before we boarded, there was a two year old, not only looking at an iPhone, but scrolling and choosing what videos she wanted (photo 1). But wait, it gets better! 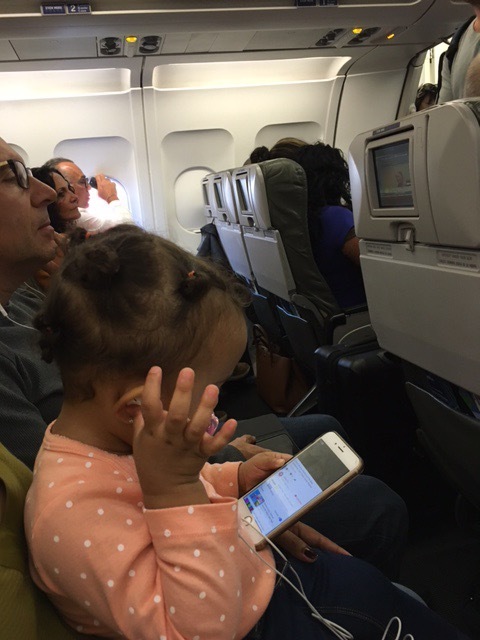 I take my seat, and next to me, is 20 month old who’s doing the same thing after putting her earplugs in (photo 2). In addition, what these two “infants” had in common, was that they also knew how to find their favorites on YouTube! There really isn’t much more to say. Hope y’all are swell and not feeling as old as I do right now. Ted is standing next to Eliot in the photo below. He brought his friend Tom Miller, who lives in Ft. Lauderdale, FL, along for dinner. 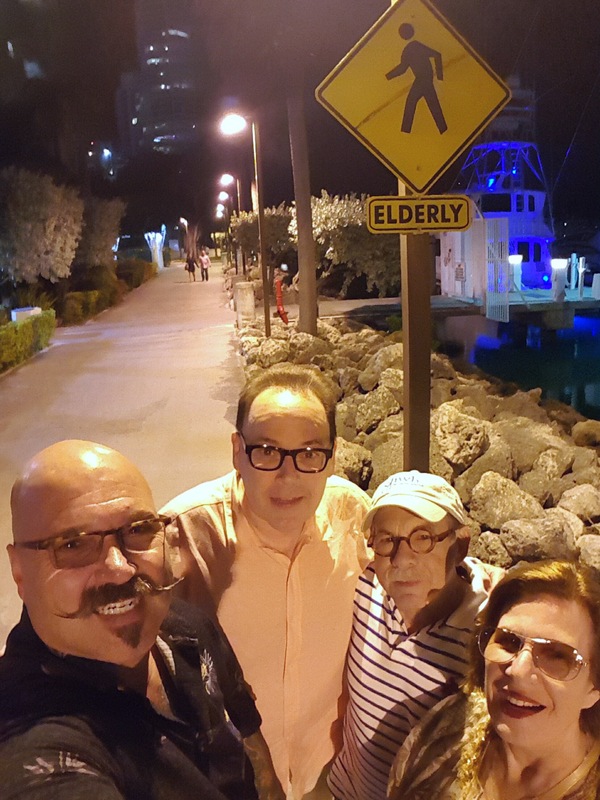 We all thought it was funny to stand in front of the “elderly”sign. 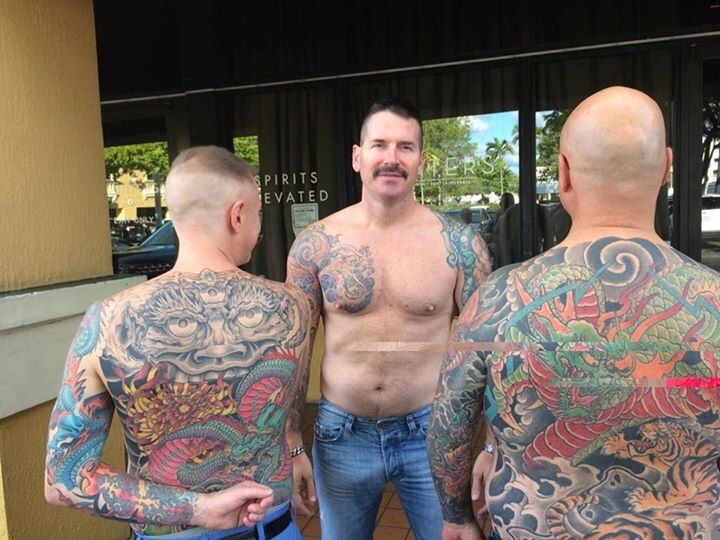 Tom told us he had amazing art work on his body, but didn’t talk about it a lot. Tom is an executive at a major company, a devoted son, a serious art collector, and a volunteer for the needy. The Best Halloween Decoration I Have Seen So Far. Go ahead, click. It is so much fun to watch. This entry was posted in digital, senior lifestyle, tech and tagged tatoos. by loiswhitman. Bookmark the permalink.